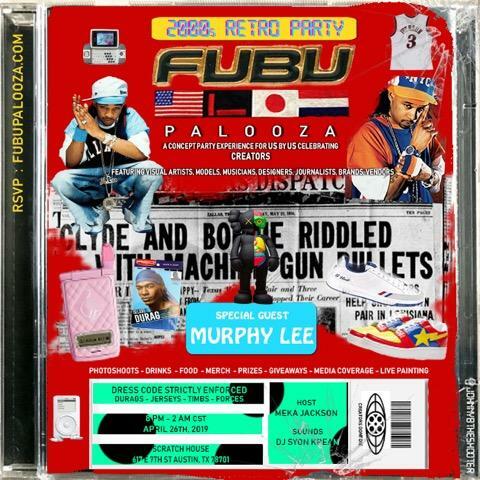 Join us for the #FubuPalooza 2000s Retro Party Edition with special guest Murphy Lee. We'll be playing your favorite nostalgic classics from the 99' to the 2000s. Don't miss this very rare concept party experience featuring & showcasing the dopest creatives in the metroplex. Calling all visual artists, runway models, musicians, photographers, journalists, brands, media, vendors, designers & creators. Limited entry. Early arrival suggested!